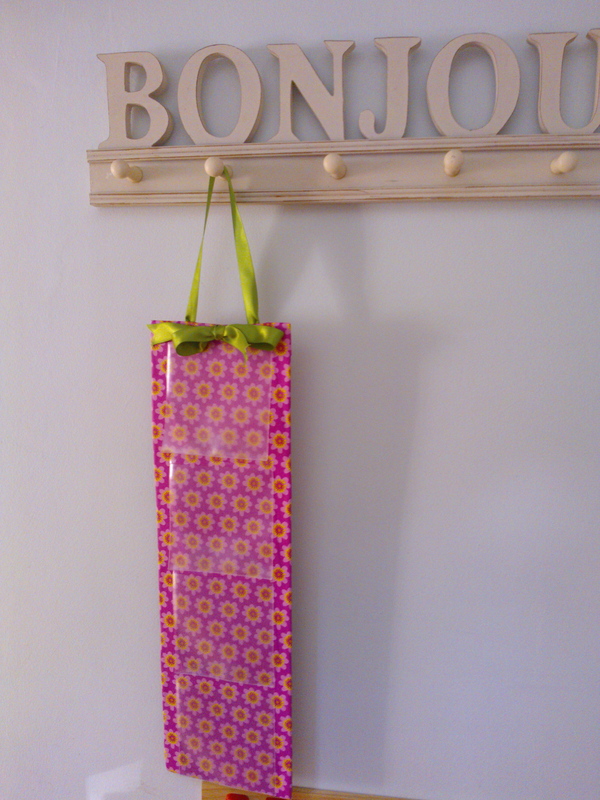 Fancy a 30 minute craft which will help solving storage and organisational problems and can make a pretty gift…? I was clearing out the horror that is our kitchen drawers recently, and wondering how to we can keep all the many flashcards I’ve made to help the children with their reading & spellings, when inspiration struck – in the form of the modest CD wallet! 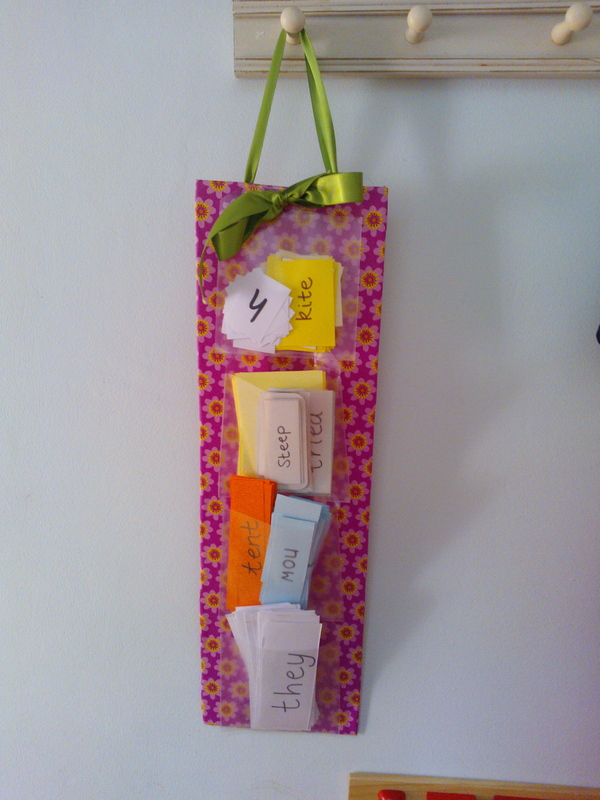 I would make hanging storage for the flashcards, reusing the CD wallets as pockets! 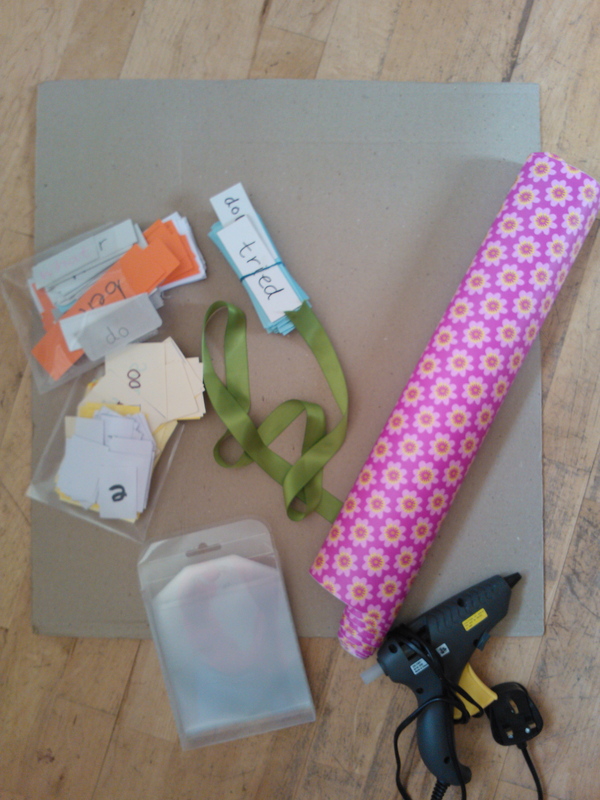 In true ShabbyShe style, everything – apart from the glue gun and self adhesive paper – is recycled or repurposed (including the lovely green ribbon – I love green & hot pink together). It was just a case of working out how tall and wide I wanted it – I used the CD wallet pockets as a guide for this step – and covering the card with the decorative vinyl. Next I glued the “pockets” on with glue dots (LOVE these, they’re so quick & versatile!) 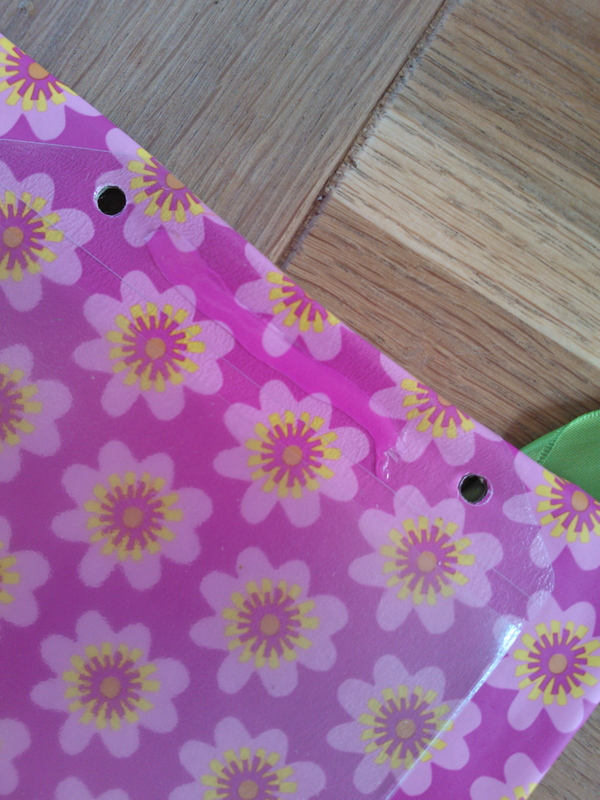 and punched the top edge with an office paper holepunch for the ribbon. Hopefully this will encourage us to use their flashcards more now too!